An X-tra Special Padded Sling Furniture Set for Your X-tra Special Home! “X” marks the spot; the spot where you will want to spend all of your leisure time! Taking sling patio furniture to the next level, Woodard has created the Andover Padded Sling Dining Collection. 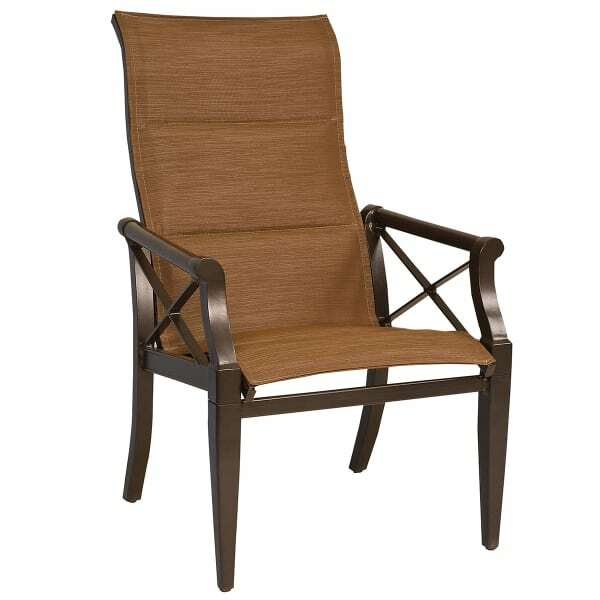 This is the set of patio furniture you want if you like your guests to linger over dinner, if you like to enjoy a leisurely cup of coffee (or two) in the morning sun, if you just want something “X”-tra special for your outdoor living space. The Andover Padded Sling Dining Set is incredibly stylish and amazingly comfortable. The Greek inspired frame with its snazzy “X” detail, will class up your deck or patio and maybe even your life. This transitional beauty will complement any décor. And of course, you have the assurance that the Andover Padded Sling Dining Set has been constructed to Woodard’s exemplary production standards. 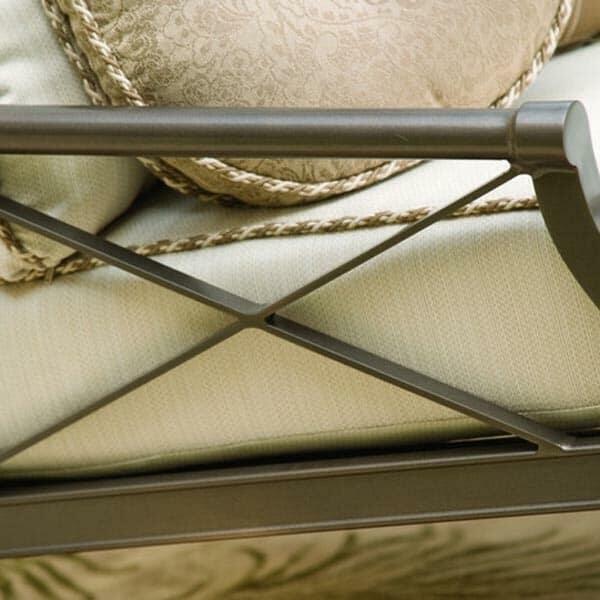 Premium quality aluminum frames are expertly assembled and then protected by one of Woodard’s fine powder-coat finishes. The slings are weatherproof, filled with breathable Dacron and styled from your choice of one of Woodard’s many sun and rain resistant fabrics. The Dacron is the “X”-tra touch that gives this collection a comfort that rivals cushion furniture, without the worry or maintenance. You deserve something “X”-tra this patio season and the Andover Padded Sling Dining Set may just be it!